Hi! 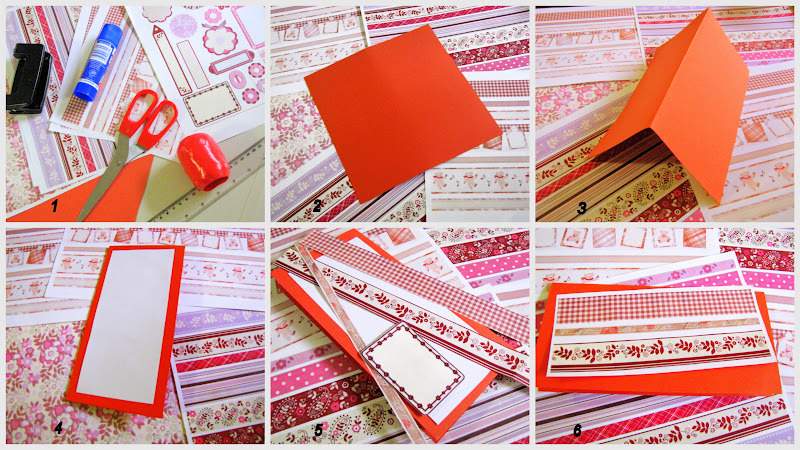 Here is a DIY tutorial for easy to make greeting card. I made this card for my husband to give him on valentines day. But you can choose different colours and make it fit for another occasion. I know it’s off topic, but as I was saying, once in awhile I’ll share with you my crafts and projects. Hope you’ll enjoy them. 2+3. 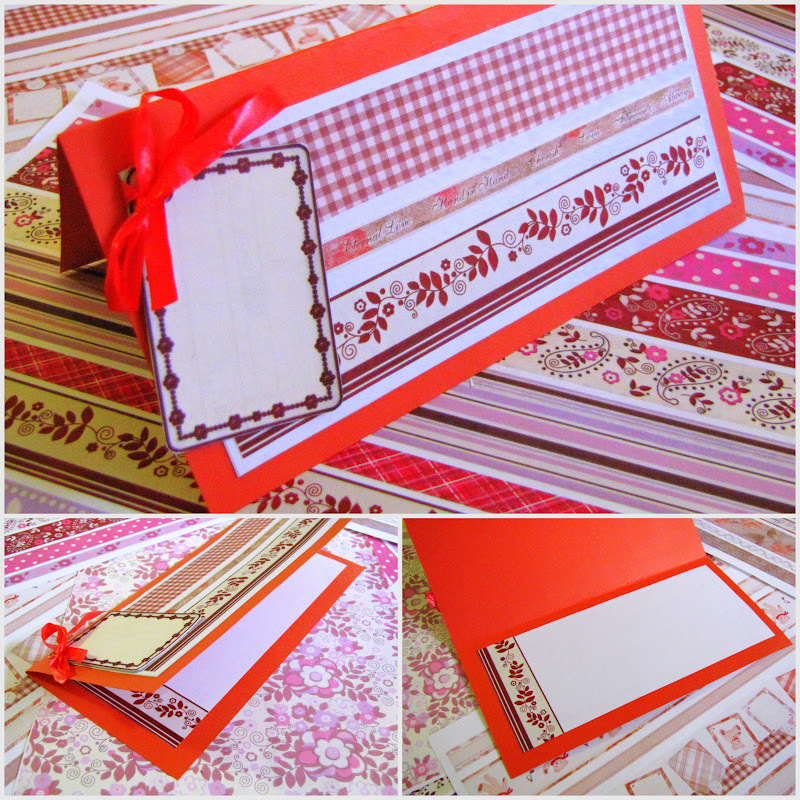 Score and fold the sheet of red card to create the card base. 5. Cut 3 long strips from three different scrapbooking papers and cut one small rectangle tag. 6. Glue the three strips one above the other on top of white rectangle. 9. 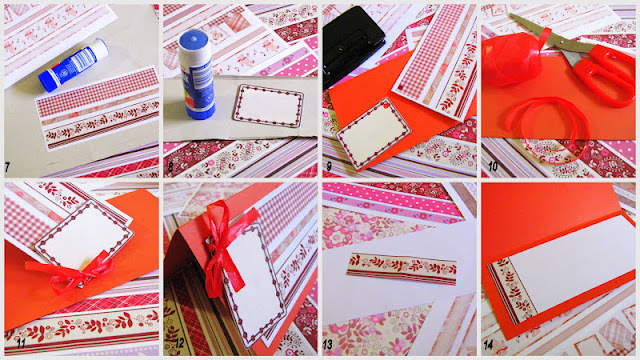 Use a hole punch to make a hole in the left top corner of the white card and the tag. 10+11. Thread red ribbon through the holes and tie a bow. 12. Glue them centrally to the front of the red card. 13. Cut another rectangle of white card and one short strip. 14. Glue the strip to the left side of the white rectangle and then glue them centrally to the inner side of the red card. If you choose to use this tutorial on your site please link back to this page. Thanks!